Aldelo offers restaurant management solutions that are simple yet highly effective. 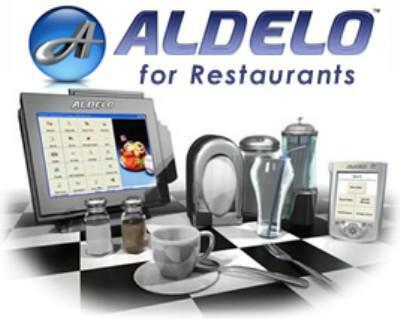 Aldelo for Restaurants a variety of products for various operational purposes depending on the type of your business. You would find solutions for efficient processing of payments, keep track of liquor stock and sales and also allows you to follow real-time orders being sent to the kitchen. It also allows you to promote the items on your menu by advertising in colorful pictures and information. Aldelo for restaurants also provides services such as training and programming should you need them to aid your employees. With AllianceBundle pos however, you would find that the interface is much more user-friendly thereby making it a good option as your employees will be able to navigate the system with ease. AllianceBundle pos also has four different point of sale solution plans on offer , and all at affordable prices in order to ensure that you have the choice to choose what’s best for your business according to your budget. The starter plan is the cheapest option with basic features for a point of sale system, whereas the enterprise plan is ideal for much larger business with a lot more transactions and business functions.With Aldelo for Restaurants, you will find that all payments are processed through a secure system. Any accessories, hardware devices, and software integration assistance that you may require are also provided by AllianceBundle. Simplicity for all bars and restaurants, the Aldelo for Restaurants is the perfect POS software and store management System. You’ll be able to increase efficiency while at the same time reduce complexity to maximize productivity and your rate of return. AllianceBundle Aldelo POS handles all of your sales activity, inventory and ingredient tracking, delivery order and driver tracking, customer tracking and in-house accounts, free gift card management, and floor layout with reservations. Aldelo for Restaurants is perfect for table service or quick serve order entry. Take control of your restaurant with the financial accountability and extensive reporting that every business needs. Regardless of your business size or offering, AllianceBundle Aldelo POS is the perfect hospitality POS to help you achieve productivity, simplicity, and efficiency.